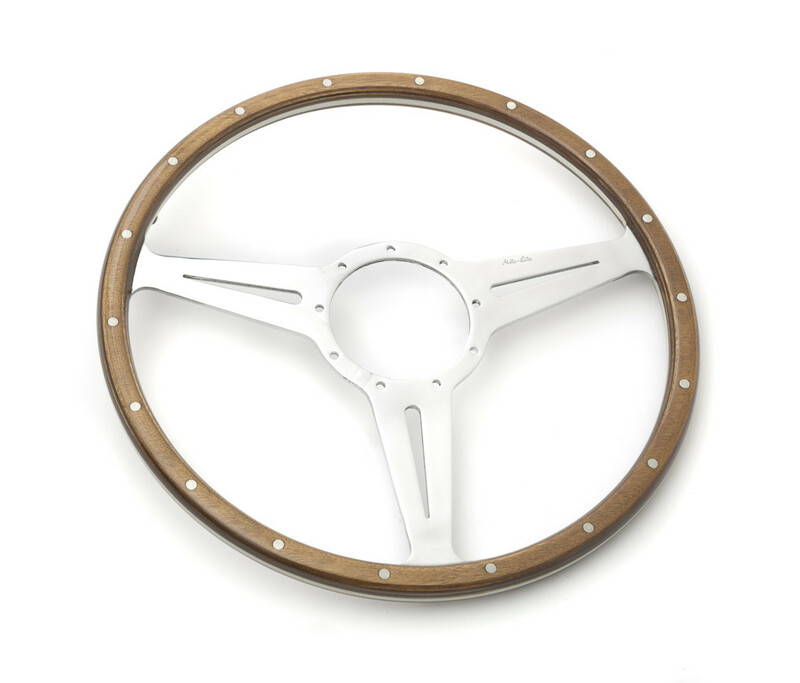 Moto-Lita Mark 3 woodrim wheel. Hand finished laminated marine timber rims with 3 polished spokes with holes or slots and visible rivets. Only original with the „Moto-Lita“ logo.